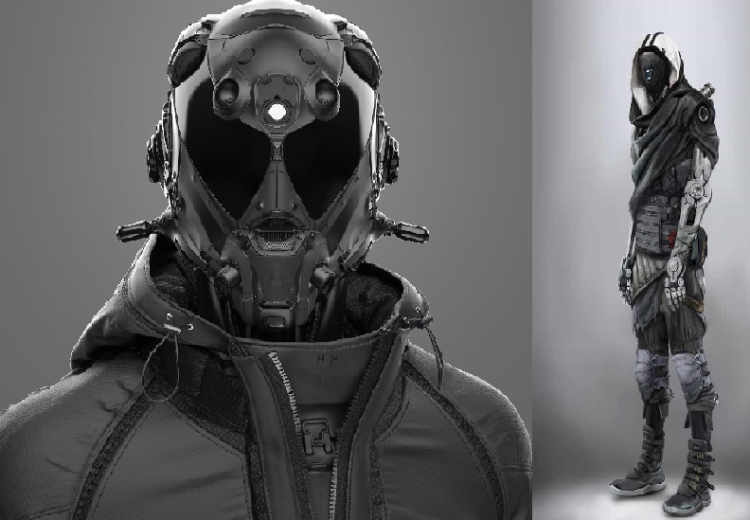 Your challenge is to create an original cyberpunk character using HM3. The prizes are back! 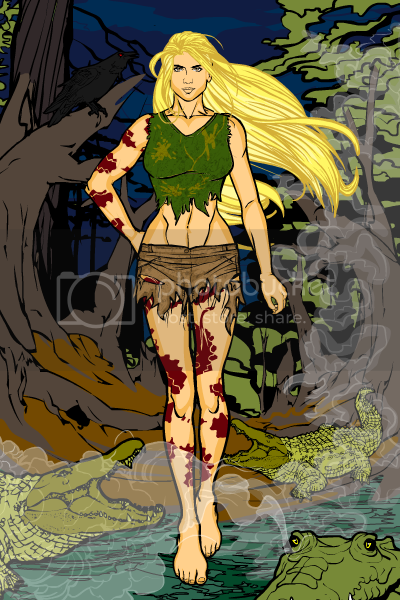 So this week’s winner will receive an HM3 rendering of their winning character by yours truly! This contest will close at 9am Eastern on Sunday, April 21st. “Craven the Second” set 220 years after the existence of the original Craven. this individual took up the mantel and persona of the legendary Steampunk Swordsman and donned a plague doctor mask of his own. however, he was trained in the way of the ninja and his not bound by honor or laws of the samurai and is equipped with more advance high tech artificial enhancements. here is a villian called “V!ral” who was infected by a swarm on nanobots that are slowly replacing him. He can control and manipulate all technology but he soon learned that the nanobots are slowly replacing and rebuilding him from the inside out and he desperately seeks a cure before all that remains is machine and the man is no more. 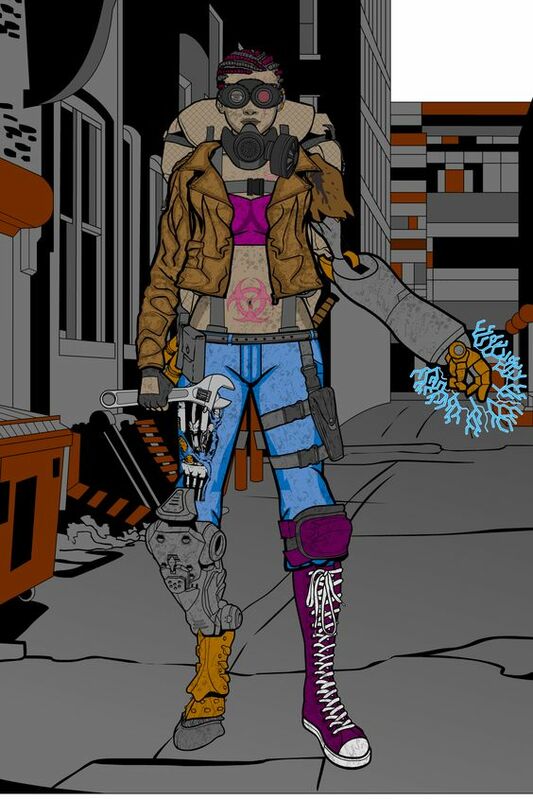 Mary “The Scrapper” Mulligan is just another citizen of the scrapyard city, hard living in the city has required her to replace her limbs with cybernetics that could fit her frame that she could scavenge within the trash from many destroyed robots. Expert thief, Cyber terrorist, and technopath. Her implants, and nanites, give her superhuman strength and endurance. They also allow her to control any technology with her mind. His real name has been forgotten. Whenever he gets hurt he screams “NO PROBLEM!”. A scream that became his name. He is the oldest (more than two thousand years) policeman on earth and his skills have been improved thanks to technological progress.